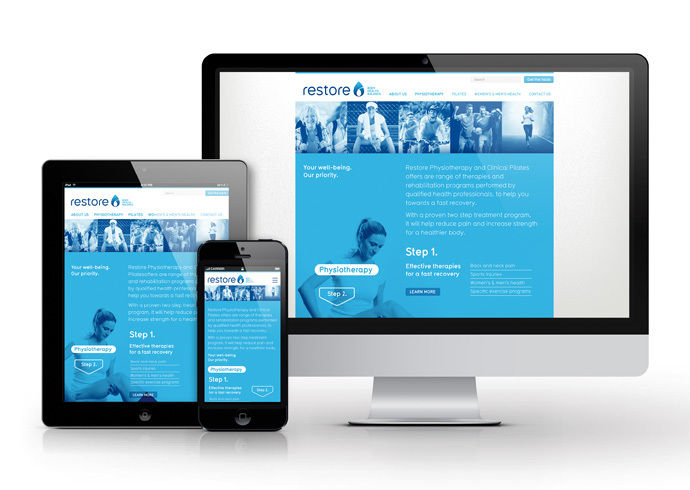 What started out as just a minor revamp of a logo turned into a total rebrand for Restore Physiotherapy. 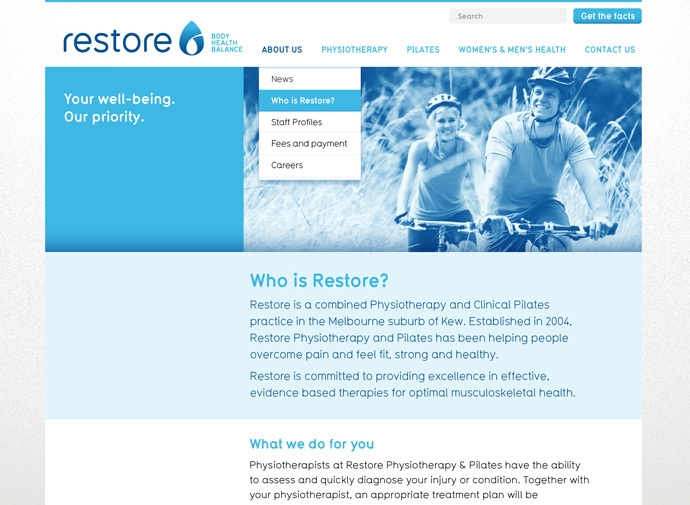 A practice with a pilates studio and physio consulting rooms on a main road in Kew Victoria, had been operating for the last 9 years with little promotion and no marketing, mainly word of mouth and referrals. With two new businesses offering similar services up the road, the competition started effecting new business as theirs looked very tired and dated from the outside. After a number of meetings with the directors, we built a strategy around their quality services they offered and the convenient location. Three key areas were our focus – rolling out the new brand across all stationery and promotional material, a new responsive website and email marketing campaign and removing all the old faded vinyl cut window signage and utilising the extensive street frontage of glass as a canvas to promote the services they offered. 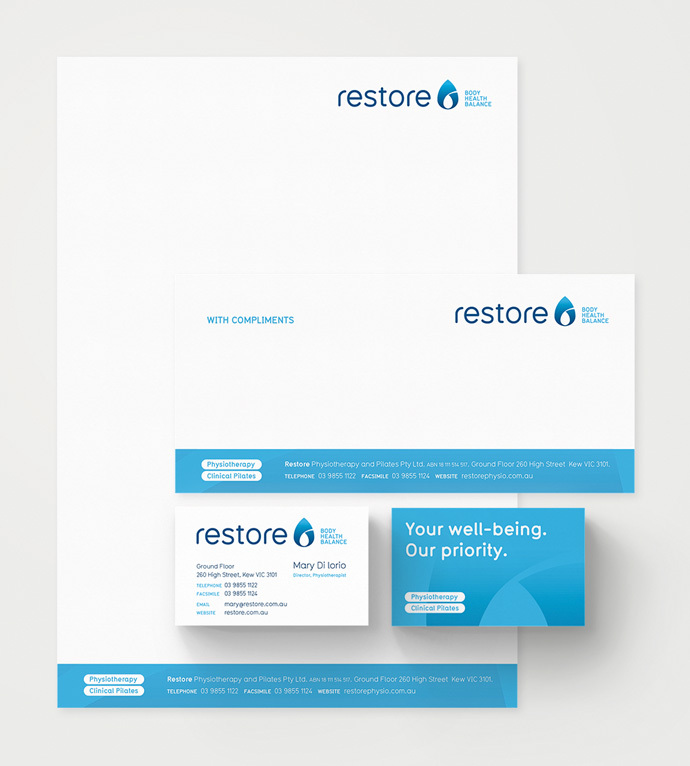 The fresh palette of blues in their updated brand injected a new life into the whole business and created a positive and vibrant atmosphere inside and outside the practice. 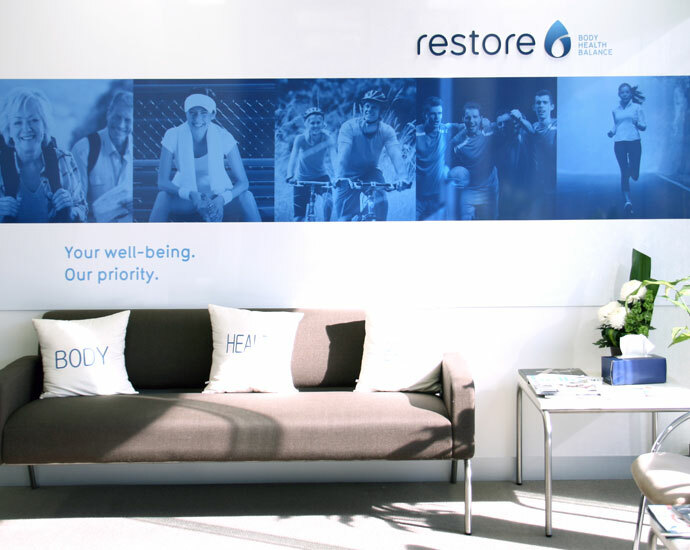 Building graphics were designed to cover all applications from parking and directional signage, to the doors plus reception area, and we even convinced them to update the tired furniture in the waiting area with some comfy couches. We initiated a ‘two step process to recovery’ which created a segway to use both service offerings – treatment and rehabilitation. The front windows were treated with one-way film allowing light in, but creating a massive advertising billboard from the street to attract peak hour traffic, tram commuters and pedestrian traffic from the local shopping strip. 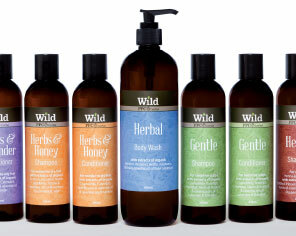 This has now become their primary source of new business. Go To Wo Consulting Pty Ltd Copyright © 2019 . All rights reserved.